BIG developments on this week’s episode! 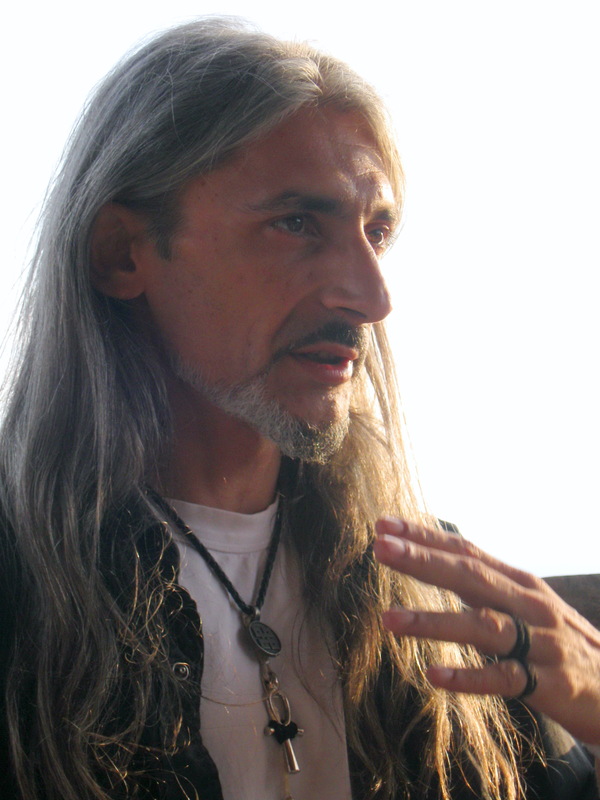 This week’s special guest is Peter Volnarovski, the physical incarnate member of an amazing soul group who is also heavily invested & active in our liberation process. Join us to hear about his profound download experience via his Magedon soul family, the latest sound healing (in the form of pre-ancient chants) codes & frequencies from what he refers to as the Spiritual Hierarchy of the Galactic Central Sun. He describes how previous versions of such downloads pushed him & his team through very rapid evolutionary healing & clearing that was WAY too rough & fast. The good news is … he’ll be releasing this audio for FREE, in the coming days! You’ll also hear how his team & his Magedon soul group have helped with the continued ‘compounding’ reduction of the Event timeline … to insure we do NOT have to wait till the end of the overall ascension period of 2025. What To Shine The Transmutational Light Of Your Consciousness On This Week! The Resistance Movement via Cobra reveals … Primary Implant. Are there quicker ways to remove it, to move back into our power faster? After experimenting with the removal of the Primary Implant with the lowest level of the Teams I work with (6D auric technicians) … and of course testing this to confirm the removal myself, ( … no, I do NOT use muscle testing. It’s based on the use of nerves, which is attached to the mind, which is attached to desires & fears) … I discovered a rapid way to remove both levels (plasma & etheric) of the primary implant … and transmute any external replacement technologies or entities. Want me to walk you through it with these same teams during the show? It will only take about 10 minutes of your time, and nothing else. Plus … Yaldabaoth entity / Black Stone situation is looking great. Why it’s more critical than ever to seize this opportunity & maintain this momentum … and what’s the best unified & synchronized way to do just that. mass identity-politics social programming and all other deliberate divide & conquer social engineering to be shut down any time soon? … and what can we do to hasten this? Trump forced by White hats to renew a deal with Iran. Why so easy? Cabal gets a taste of its own medicine with Senator McCain getting malignant brain cancer. P2 officials outed, about their plans to replace & or dissolve the indigenous populations of Europe & the beautiful – unique European cultures to form a new capital in Jerusalem within a generation. CIA and the Pentagon are already aiming for the P2 jugular by deciding to reveal Fukushima mini nuke attack as a P2 directed operation, according to CIA sources in Asia. How soon can they succeed? What’s the most influential factor in their success? … and of course, the upcoming joint interview of Cobra & Corey on Prepare For Change … signaling the beginning of their combined effort to push for the biggest Global Synchronized meditation this coming solar eclipse. … all, on this week’s huge episode of Ground Crew Command Radio … your weekly dose of empowering clarity, inspiration & motivation to get you through the Archon invented “work week”. … and hit the Share button. See how much unintential merging and unclear details are present in this page? The radio host speaks a deformed English (I guess it’s Australian English) which is quite hard to follow. The guided meditation at the end of the radioshow is offered by the host of groundcrewradio. Whose making is it? That meditation has nothing to do with the previous interviewed Volnarovski. That’s not made clear in this page here. Again, there’s a need for better organizing of your announcements, Ada. That’s not helpful and rather childish. Please pay attention to this feedback. If my comments are ignored again I’m leaving this place without leaving a trace. I’ll follow the most important developments from a distance and will end my membership here, my contribution as a translator and assistant in lending my voice for meditations in Dutch, plus my support with organizing events in 3D life. Greetings, I think I have a message for Cobra from our Mother. How can I contact?